Home / Uncategorized / No Border Kitchen #Lesvos: Let us Fight Together for Refugee Autonomy! No Border Kitchen #Lesvos: Let us Fight Together for Refugee Autonomy! 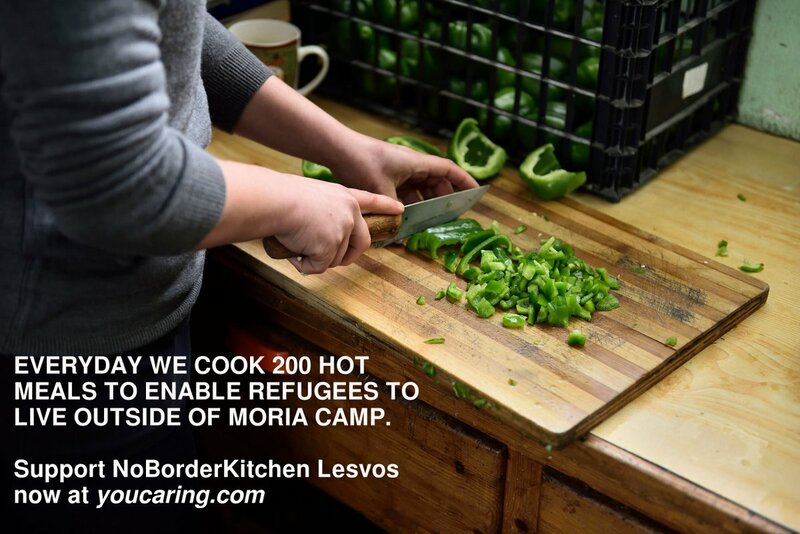 No Border Kitchen Lesvos currently supports 450 refugees to cook and subsist autonomously, at a regular cost of 20€ per person per month. We are a self-organized group of activists with and without papers from all over the world, with the shared aim of overcoming the borders and restrictions that impede freedom of movement. We fight together for a world where we all recognized equally as humans. Read all the Enough is Enough reports about RefugeesGR; here. Our project is entirely volunteer run and we do not receive any regular funding. In two weeks our bank account will run empty and we will need your support to continue our work!